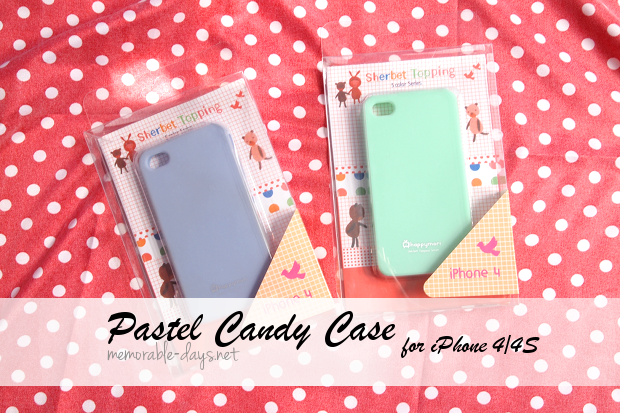 Pastel Candy iPhone 4/4s Cases from Bornprettystore | Memorable Days : Beauty Blog - Korean Beauty, European, American Product Reviews. OMGGGG!! 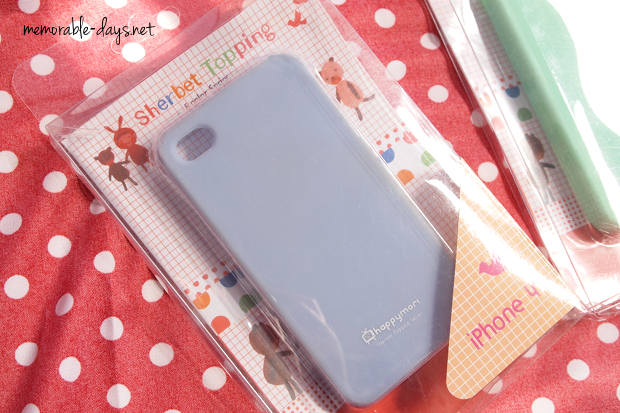 I've been searching ages for these pastel candy cases for the iPhone 4S!!! 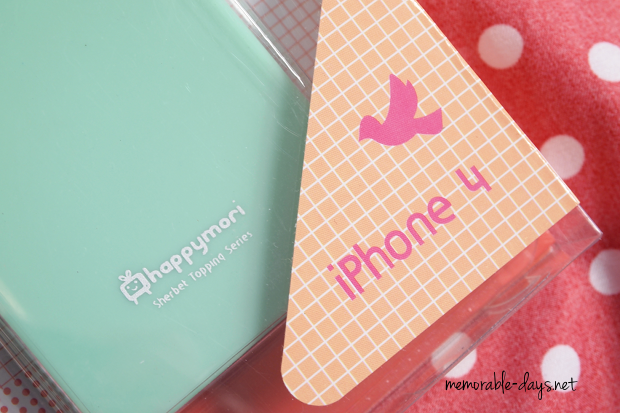 I recently found these Happymori iPhone cases at Bornprettystore and on Ebay. They were cheaper at Bornprettystore so I got it from there ^__^. 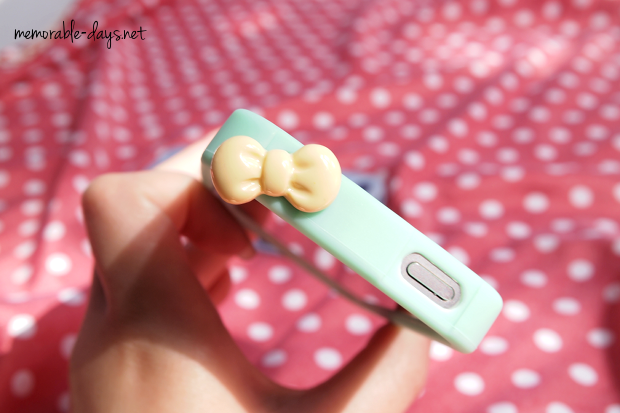 Happymori is a Korean brand who sells adorable phone accessories, you can go their website to check out their cute assortment: link to website. Keep on reading for some close ups of the cases! 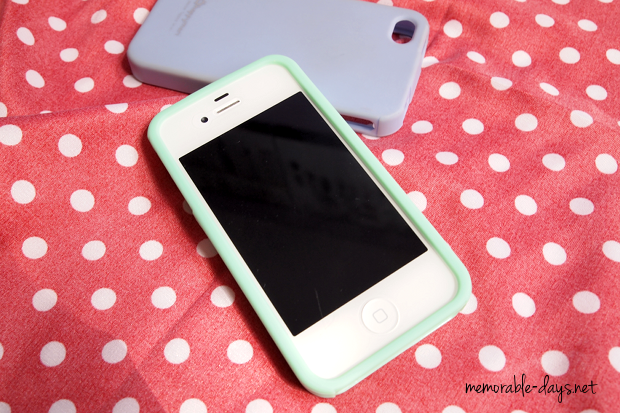 They offer these cases in 5 colors: red, pink, yellow, blue and sky blue (mint green)! Go to their website to see the colors: (link to product). I got the cases in sky blue and blue, the sky blue one is mint green colored in real life. I really would love to have them all, since they all look so cute and I just L-O-V-E pastel colored items ^___^! You can buy these cases at Bornprettystore.com (link to product) for only $3.15 each! Don't forget to use my code: MDJ61 at checkout to get 10% OFF! It has a plastic packaging. There are some bears on it lol, cute right? I've used the pastel blue case for 2 weeks already lol so it's a bit grey on the edges and sides in the pictures hehehe.. 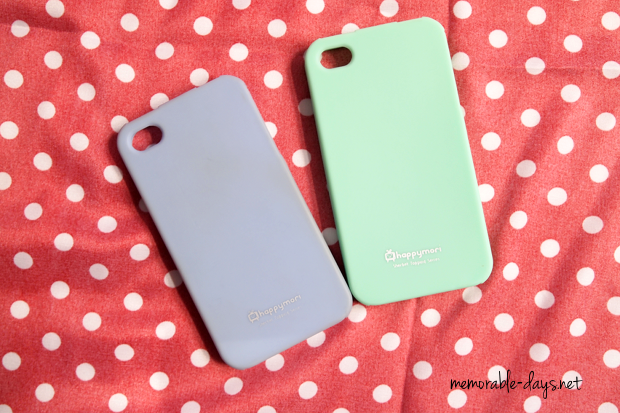 The mint green one is completely new though :). 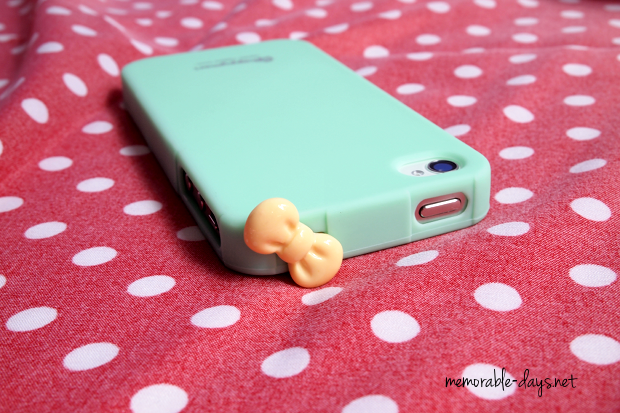 I've added a yellow ribbon plug stopper ^^ which makes it even cuter hihi love it! I got that from Ebay.com. 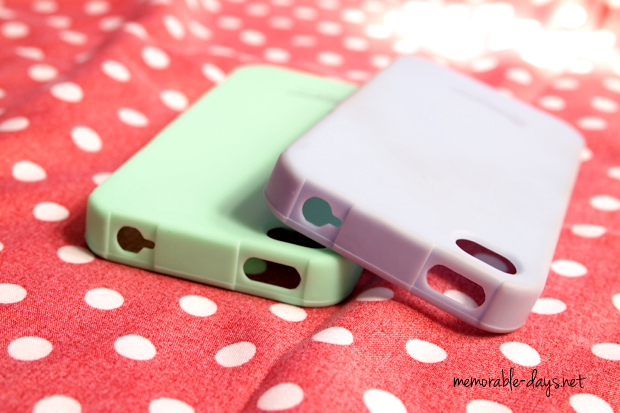 I absolutely ADORE these cases! Would you like to purchase it as well? Go to bornprettystore.com and feel free to use my coupon code: MDJ61 to get 10% OFF! That is so cute! The bow does go well with the theme.